It has been suspected for a long while that A-Man has had autism spectrum disorder to some degree. Unfortunately, getting an official autism diagnosis is not always easy. The standards keep changing, you often need to go to specialists, and those specialists often have really long waiting lists. The process can be frustrating and long, but it can also be incredibly worth it. 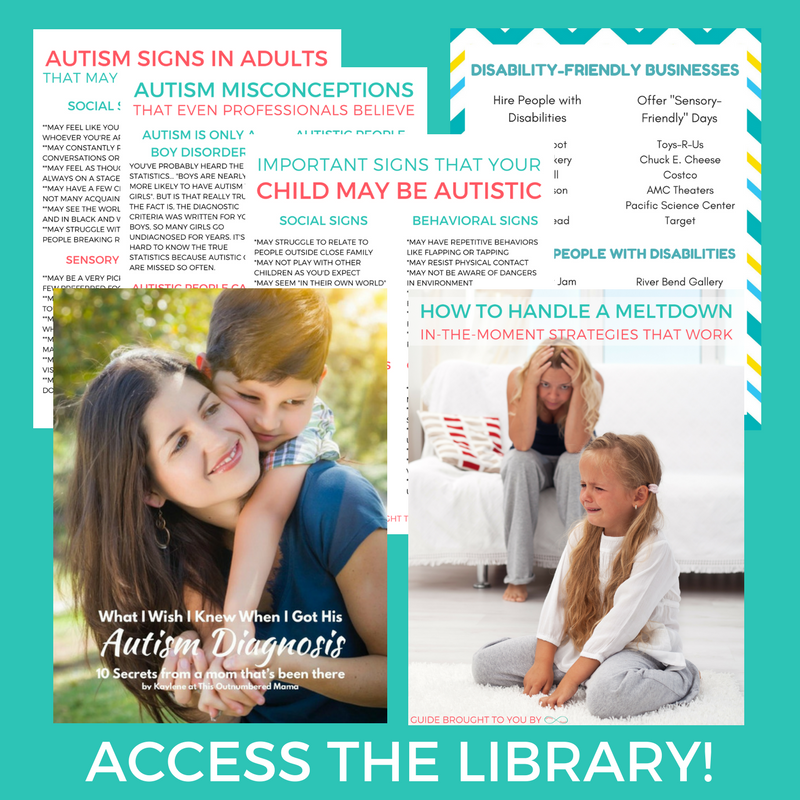 Today I’m sharing some thoughts from our experiences of getting A-Man’s official autism diagnosis. First and foremost, A-Man was exactly the same walking out of the office as he was walking in. An autism diagnosis is descriptive, not prescriptive. It gives us a better understanding of where he is at right now, it doesn’t tell us where he will be in 2 months, 2 years, or 20 years. The diagnosis doesn’t change our therapy plans for him, and it doesn’t change the way that we approach discipline or teaching. He’s the same, sweet, fun-loving, train obsessed little boy that he’s always been. Autism is not A-Man’s first diagnosis. He also has dyspraxia, sensory processing disorder, and a speech and language delay. Unfortunately, none of the struggles that we already had names for helped him much. He’s been in speech and occupational therapy for nearly a year, but if we were putting him into public school he would qualify for 15 minutes of speech therapy and nothing else. In our state sensory processing disorder is not considered a disability. With the autism diagnosis he now qualifies for disability. He now qualifies for an IEP (needed for testing even if we continue homeschooling). He is now protected against discrimination. His needs can now be met in new ways. So while A-Man is no different after the diagnosis, things will be very different for him. It took nearly a year to get an appointment with a neurodevelopmental pediatrician anywhere near us (about an hour away). During that year we’ve been doing occupational and speech therapy weekly, and working through tons of sensory and behavior struggles. A-Man has made huge improvements over the year, and since we caught everything so early, he was still preschool age when we got his diagnosis. He won’t need to “fail” at school for them to notice something is going on. We left the first appointment with an autism diagnosis. His Dr. listened to our concerns and observations. She read all of the information from his therapists. She went through all of the criteria for diagnosis and the whole process was simple as can be. Definitely worth the wait. 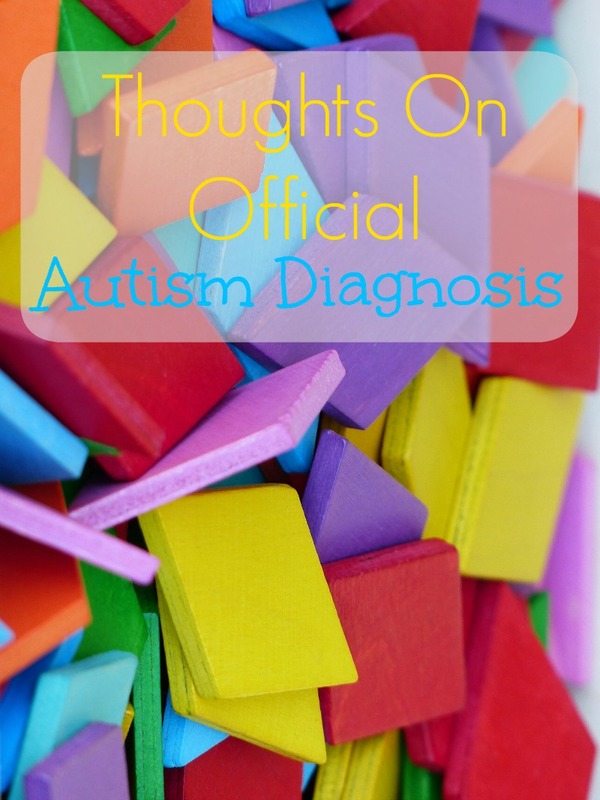 Have you struggled to get an official diagnosis for one of your kids? « Updates on Being Outnumbered! Labels help unless abused. You use labels for their intended purpose. I completely agree, Anna. It’s scary how fast they can go from useful to harmful! Hi! Popping over from This Reading Mama. (Heard about you through the SP Facebook group last night.) My 10 year old was diagnosed HFA about 1.5 years ago. It explains a lot of the struggles we have had, especially at home. The diagnosis has helped soften my heart towards him because now I understand that there are things he just can’t help. His brain is wired differently. Before, I was fussing and fussing at him about certain behaviors, especially social ones. After the diagnosis, I began using social stories and talking about his anxieties and struggles during calm moments to build him up and educate him. Oh I’m so happy you shared your story with me! I had a similar experience. When we first had his evaluation with our OT, I was trying to explain that he wasn’t just naughty and that something was going on. She looked at me and said, “honey, I know. This isn’t his fault. This isn’t your parenting. This is his neurology”. I about broke down in tears. <3 So glad to have connected during that fb live!